4 burrata dishes you need to try in L.A. If you haven't yet tried the cheesy delight, what on earth are you waiting for? Made from mozzarella and cream and meaning “buttery” in Italian, burrata has a smooth, soft texture and a subtle flavor that's still rich and satisfying. Here are 4 bangin' spots to get burrata in LA. Burrata, a farm-fresh cheese imported directly from Southern Italy, is one food trend we hope is here to stay. If you haven’t yet tried the cheesy delight, what on earth are you waiting for? Made from mozzarella and cream and meaning “buttery” in Italian, burrata has a smooth, soft texture and a subtle flavor that’s still rich and satisfying. 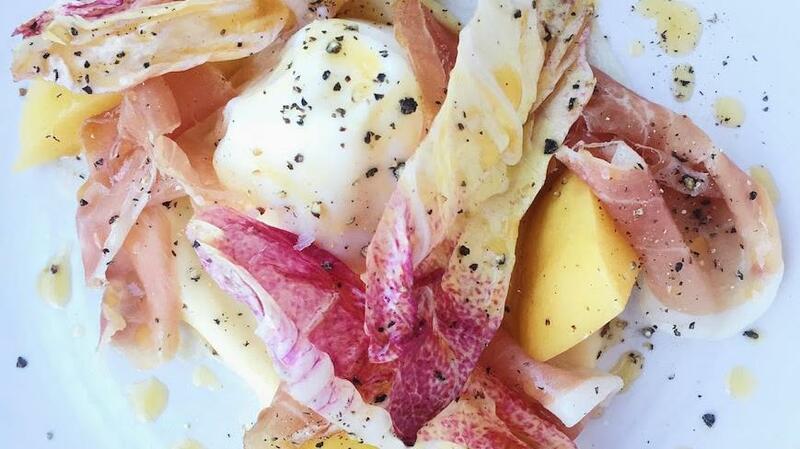 Here are 4 bangin’ spots to get burrata in LA. At Preux & Proper, a souped-up burrata small plate comes with house tasso ham, Muffuletta (olive salad) relish and ramp chimichurri (an Argentinian parsley-based sauce). An integral part of its French bistro menu, Marvin offers several tasty cheeses, including a fresh burrata, to pair with an extensive wine list. Osteria La Buca serves up a gorgeous burrata dish with Fitzgerald nectarines, walnut vinegar and lemon thyme. A great way to kick off your modern Italian meal at Wildcraft, the burrata crostini combines spring pea pesto, pine nuts, pea sprouts, micro mint and pistachio in one delightful starter.